... niet van echt te onderscheiden! 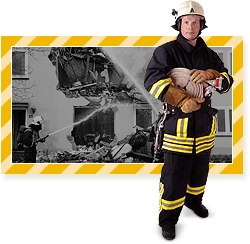 Van de basisopleiding tot brandweerman tot aan complexe realistische inzettrainingen. For us, Training Base Weeze offers excellent conditions for realistic training scenarios. 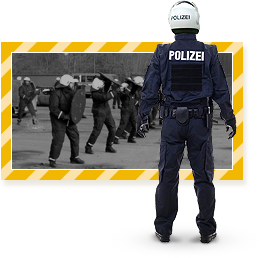 It is unique that large units get the chance to train without “disturbing“ the general public. But also the infrastructure for seminars such as the respiratory protection workshop and the social areas are excellent. During our trainings, we were always accompanied by competent scenario actors and security staff, which was also outstanding. 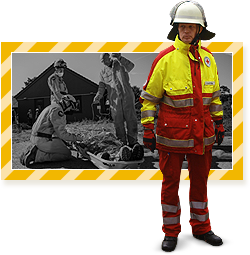 TBW’s training ground is perfect for trainings, tests and other scenarios for civil protection operations. In addition, the territory is suitable for working with rescue dogs, especially for trainings and tests concerning the rubble search and area search. Training Base Weeze thus perfectly meets our requirements. Training Base Weeze meets customer requirements and the training is always well prepared. The staff is very competent and the general service is very good. My compliments: I think the accommodation was very good: excellent rooms, good restaurant, good venue, nicely close to everything as far as the exercise was concerned. Thank you for arranging the transport from/to the train station, it worked fine. Thank you for inviting our team over. We had a great experience with the journey and the stay. The rooms were very clean and nice. The food was very delicious and we appreciated the endless tea and coffee. We enjoyed the overall experience and were made to feel extremely welcome. Everyone was accommodating and concerned about our needs. We look forward to working with everyone again and the venue was superb! All the support that has been given by Training Base Weeze before, during and after the exercises was great. Hotel accommodations and food was excellent. I enjoyed the great cooperation, professionalism and flexibility of the Training Base Weeze staff. The travel worked fine, flying to Weeze made it a fairly painless trip. The rooms were fine, warm and plenty of hot water, food was generally good and the supply of water, coffee and tea was great. Having WiFi in the rooms and across the offices was excellent, really needed for the exercise. Many thanks to you and others in the team, overall it was a positive, interesting and valuable experience and I enjoyed the interaction with the participants and fellow team members immensely. Mr. David Dickson, Director, Civilience Ltd.
At Training Base Weeze we have countless possibilities to train emergency situations under realistic conditions. Back to basic” is part of our training system. At Training Base Weeze we can practice this situation in a realistic scenario. Thus, we can optimally perform our leadership training. 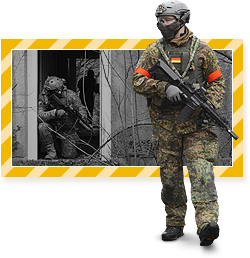 In the Netherlands there is no comparable training center for our training module “operation in urban territories”. At Training Base Weeze we can perform our training according to our needs. Furthermore the training is very close to reality. The best thing about the Training Base in Weeze is the variety of scenarios. It prepares participants for real emergency situations. Also, the possibilities for relaxing after the training are very good.